Next week the Maui Film Festival kicks into high gear and features many food related events starting with an opening night reception at Capische? Restaurant June 13th, the Taste of Chocolate at the Four Seasons June 15th, on Saturday, the Taste of Wailea on June 16th, and a Starry Night Dance Party at Mulligan’s on the Blue June 17th. (Click here for tickets.) More info at Festival WebsiteWebsite. The 13th annual Maui Film Festival begins where Northern Italy meets Southern France at the top of Wailea. Capische? Restaurant recently won the top level Gold Award for Restaurant of the Year from Maui No Ka Oi Magazine’s prestigious Aipono Awards.Owner & award winning chef, Brian Etheredge, will wow you with truly unique, inventive, and delicious selections complimented by refreshing Stella Artois beer, Maui’s own Organic Ocean Vodka cocktails, and wines by Johnson Brothers. Live cooking stations feature regional Italian Cuisine with fresh local ingredients. Wednesday Night’s Celestial Cinema Double Feature. If still available, tickets will be $150 at the door. Sunday night head over to Mulligans on the Blue Irish Restaurant and Bar from 10:00pm – midnight. Meet your friends at the Festival’s sexiest dance party! Power up with pupus specially created by Mulligan’s newest chef, Tim Nelson, complemented by libations courtesy of Maui’s own Organic Ocean Vodka and a great beer selection including Hoegaarden, Leffe Blonde, and Stella Artois -Official Beer of the Maui Film Festival. It’s always lively at Mulligans. Come prepared to party! You must be 21 or Over to attend the Sunday Starry Night MoonDance. IDs will be checked. Each Starry Night MoonDance ticket includes Sunday Night’s Celestial Cinema Double Feature. Tickets are $75 now and if still available, ticket price will increase to $95 on June 13. Friday Night’s Celestial Cinema Double Feature. Tickets are $125/pp and if still available, prices will increase to $150 on June 13th. Don’t miss the crown jewel of Maui Film Festival’s Culinary Arts Celebrations at the David Leadbetter Private Golf Academy on the beautiful Wailea Gold & Emerald Golf Course. The most mouth watering moments of the 13th annual Taste of Wailea will be presented by Wailea Resorts’ most celebrated chefs and restaurants, complimented by a delicate assortment of fine wines provided by Southern Wine & Spirits, refreshing Stella Artois, Hoegaarden, and Leffe Blonde beers on draft, and exotic Maui-tinis from Maui’s own Organic Ocean Vodka. You must be 21 or Over to attend the Taste of Wailea. IDs will be checked. Each Taste of Wailea ticket includes Saturday Night’s Celestial Cinema Double Feature. If still available, ticket price will increase to $140 on June 13. Enjoy and see you at the movies! By invitation only, local wine distributors and Maui-grown purveyors present their newest releases and latest creations to industry buyers. By invitation only, this affair includes Festival Master Sommeliers, Festival Chefs, winemakers, media and 4-day Festival pass holders for an intimate “aloha” kick-off to the 2012 Festival! Kaiseki is a formal, many course dinner meant to show case great ingredients, and technique of the Master Sushi Chef, Masamichi Hattori.Please call (808) 669-6286 for more information. The wines of PlumpJack represent their world-class vineyard origins with full-bodied, elegant expression and an approachable style. This elaborately created 4-course menu is paired perfectly with this Napa Valley great. 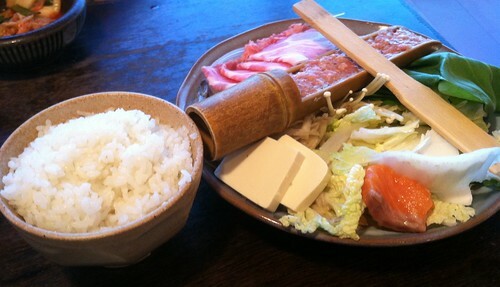 Please call 808-669-6200 for reservations. Pair up perfectly with Festival winemakers, speakers and guests for a game of gently rolling fairways and scenic ocean views with complimentary awards luncheon to follow. Hosted by Master Sommelier Michael Jordan, the stars of the world of Pinot showcase their personal favorites from the five AVA’s of California: Russian River Valley, Sonoma Coast, Santa Maria Valley, Santa Lucia Highlands. Let your palate explore premium and rare celebrated wines from regions around the world and savor the cuisine of Kapalua’s culinary stars and locally grown produce. Live local entertainment. 30 years of organic wine grape advising with some of the best in the world. Amigo Bob Cantisano will present the practical and esoteric aspects of producing wine grapes using non toxic organic farming. He advises nearly 50 organic grape growers and wineries in California and Oregon. Amigo’s presentation will feature the success stories of many of his clients and how they produce top quality wines using human and environmentally friendly state of the art organic farming. Chef Siegel is regarded as one America’s culinary superstars. As the first U.S. citizen to win in Iron Chef, Chef Siegel is known for blending haute French cuisine with subtle Japanese touches. Sample a variety of Sparkling Wines provided by Domaine Carneros and hosted by Winemaker TJ Evans of Domaine Carneros accompanied by an assortment of chocolates, truffles and other sweet treats. Kapalua Spa will provide a sampling of “mini” services and treatments for a relaxing and experience. ■And a special winery only Sparkling!! La Sirena wines, produced by Heidi Peterson Barrett, focuses on hand-made, small production Napa Valley Cabernet Sauvignon, Santa Ynez Syrah, and Moscato wines. Enjoy a four-course meal paired perfectly with this world-class wine. Please call 808-669-6200 for reservations. THE place to come & hang out AFTER hours! This night will feature blues and folk music jams by winemaker Fred Scherrer, Master Sommelier Michael Jordan & Friends… plus Sansei’s Award winning Late Night Menu & interesting wines by the glass.. 21 yrs and older with valid ID “first come first serve” seating starts at 10 pm. A comprehensive tasting of wines from one of the hottest regions in winemaking. Hosted by Master candidate Charles Fredy, he will lead this fun and informative tasting of wines from several areas of Spain. Along with Patrick Okubo, the youngest Master Sommelier in North America and one of only three in Hawaii. Many of the featured wines were selected by Master Sommelier Sara Floyd of Jorge Ordonez Selections. Sample a variety of wines from local market distributors; various locations throughout The Ritz-Carlton, Kapalua hotel property. Starts promptly at 1:15 pm. This is a Guided Wine tour like none other. The grand finale event showcases Maui’s top chefs and the bounty of the Pacific! Enjoy wine, beer and spirits while you mingle with winemakers, chefs and friends right on the Beach House Lawn! Featuring live local entertainment. 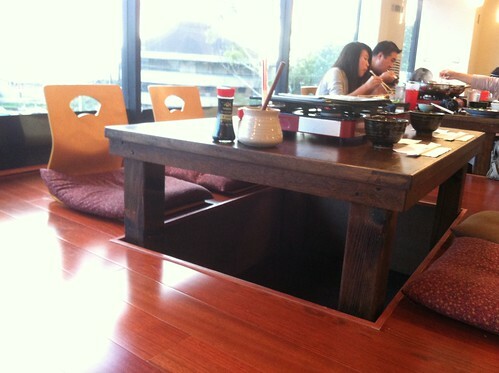 Ichiriki is a Japanese Restaurant who’s specialty is the Japanese Hot Pot – known in Japan as NABE. 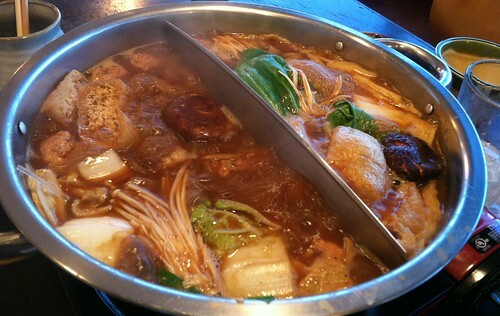 From Sukiyaki and Shabu Shabu to 15 original soups, their hot pot Nabe is AMAZING! Nabemono (鍋物, なべ物, nabe cooking pot + mono things, stuff, kinds) or simply called nabe, is a term referring to all varieties of Japanese hot pot dishes, also known as one pot dishes. Eating together from a shared pot is considered as an important feature of nabemono; East Asian people believe that eating from one pot makes for closer relationships. The Japanese thus say, Nabe (w)o kakomu (鍋を囲む, “sitting around the pot”), implying that sharing nabemono will create warm relations between the diners who eat together from the shared pot. Four Seasons Resorts Lana’i announces WINE-vember at The Lodge at Koele. This November, the Resort will uncork two oenophilic events for guests to bubble and twirl about. The #FSWine Tweet Up, in partnership with a selection of Four Seasons properties, will offer social media gurus a virtual wine tasting to inspire creative wine pairing for the upcoming holidays. The Lodge at Koele will then have the honour of hosting Lewis Cellars from Napa Valley for a traditional wine pairing dinner at the Dining Room. Social media and wine enthusiasts are encouraged to taste and Tweet on Wednesday, November 9, 2011 at 4:30 pm HAST via Twitter for the hour long #FSWine Tweet Up. The event, held in the Library, will feature a comparative tasting of three sparkling wines and a “flight bite.” Four Seasons Beverage Manager Jeremy Sidman will interact with guests and provide tasting notes, along with Four Seasons virtual moderators, including sommeliers James Tidwell at Four Seasons Resort and Club Dallas at Las Colinas, Mark Sayre at Four Seasons Hotel Austin, Dana Farner at Beverly Wilshire in Los Angeles at Brick Loomis at Four Seasons Hotel Los Angeles at Beverly Hills. In addition, guests who “check-in” on Facebook or Foursquare from the #FSWine Tweet Up will receive an additional 10 percent discount towards dinner that evening at the Terrace restaurant. On Saturday, November 19, 2011 at 6:00 pm, WINE-vember continues with the Lewis Cellars Wine Dinner. Wine connoisseurs are invited to join The Lodge at Koele’s Executive Sous Chef Junior Ulep and wine maker Randy Lewis for an evening of exquisite food and wine pairings presented in an inspiring five-course dining experience at the Dining Room. Established in 1992, the family-run Lewis Cellars winery has become one of Napa Valley’s premiere cellars, producing approximately 9,000 cases annually of cabernet sauvignon, merlot, syrah, chardonnay, and sauvignon blanc. A sampling of the menu includes pan-seared diver scallop with butternut squash puree and honeycomb brittle; spicy Keahole lobster poke on island taro chips; and grilled quail lollipop with Big Island micro greens and prosciutto wrapped figs stuffed with blue cheese. The Lewis Cellars Wine Dinner is USD 125.00 per person. To RSVP to the #FSWine Tweet Up or Lewis Cellars Wine Dinner call 808 565 2335 or visit Four Seasons Resorts Lana’i on Facebook. Pulehu does it again by creating a novel concept for a special event. Test your senses with a blindfolded tasting and four course dinner. Sounds like delicious fun! Here’s an easy and pleasant way to help Hospice Maui – have dinner at any of the participating restaurants and a portion of your tab will be donated to help support the organization’s work. For more information about this valuable Maui resource, go to this link.